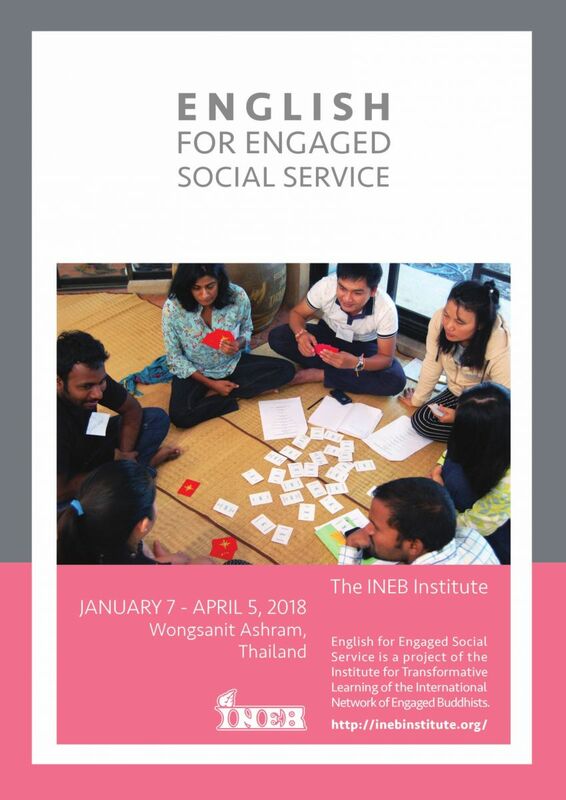 The INEB Institute is welcoming applicants to our 3rd English for Engaged Social Service course, which will be held at Wongsanit Ashram (Thailand) from January 7 to April 5, 2018. IMPORTANT NEWS! 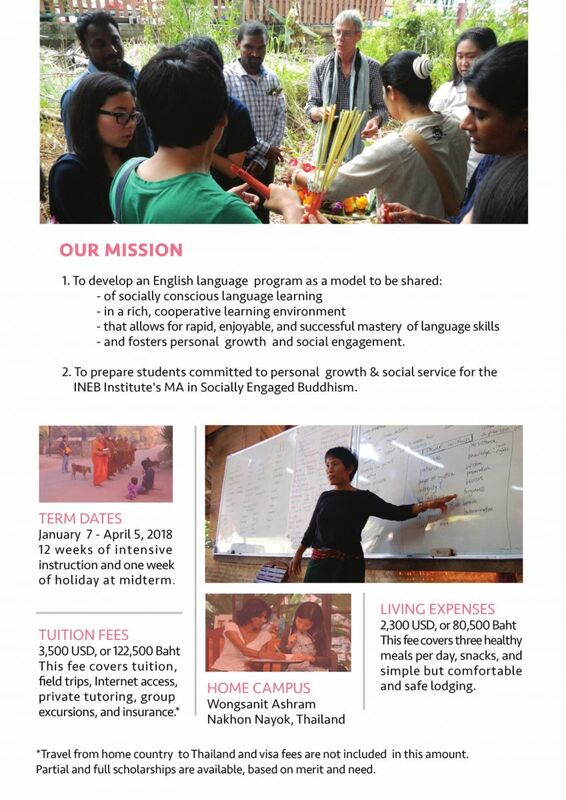 We are offering one full scholarship for the 2018 course, worth $5,800. The selection will be based on applicants’ past record of contribution to engaged social service, potential to contribute to the learning community, and potential to apply lessons learned in a significant way following the course. Go to APPLY page for full application instruction and application forms. Download this brochure in PDF format here.